Dishes were judged on taste, aroma, presentation and healthiness. Entries included Mexican stew, Japanese beef curry, Toscano sausage spinach soup, Filipino sinigang soup, Norwegian meatballs, kale vegetable soup, and Korean japchae—a dish of stir-fried glass noodles and vegetables. 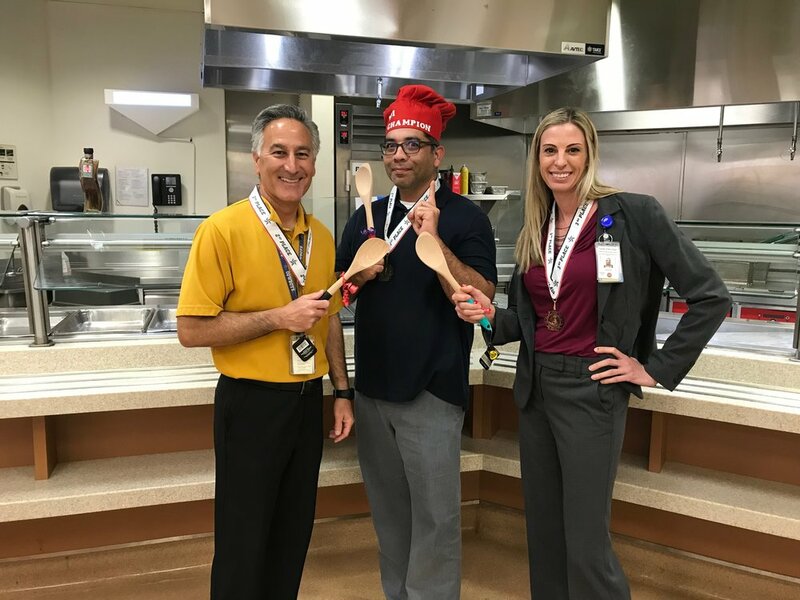 Medical Records Manager Hernan Amezcua won the cooking competition with a family recipe—his dad’s birria with beef and pork ribs. While Amezcua has been enjoying the dish his entire life, he only recently got his hands on the recipe after asking for the secret details for some 30 years! The winning dish will be served as the lunch special to both residents and employees on Cinco de Mayo. D&I Champion Lani Ngo said the event brought together employees and was fun. “We truly represented and celebrated diversity and inclusion with food,” she said. How does your department celebrate diversity and inclusion? Tell us in the comment section below.